WASHINGTON, D.C. (February 5, 2019) – Horatio Alger Association of Distinguished Americans, Inc., a nonprofit educational organization honoring the achievements of outstanding individuals and encouraging youth to pursue their dreams through higher education, today announced 570 students from across the nation will receive its prestigious 2019 Horatio Alger State Scholarship. These annual scholarships recognize outstanding students, who, in the face of great personal adversity, have exhibited an unwavering commitment to pursue their dreams through higher education. Since the establishment of its scholarship programs in 1984, more than 25,000 students from all 50 states, the District of Columbia, Puerto Rico and Canada have received more than $159 million in undergraduate, graduate and specialized scholarships. In 2000, 16 years after the establishment of its National Scholarship Program, the Association began funding scholarships concentrated in each state to further its mission of assisting deserving young people to pursue higher education. Additionally, Horatio Alger Members fund a series of Specialized Scholarships, which target students attending specific academic institutions or pursuing certain degree programs. Collectively, the 2019 Horatio Alger State Scholarship recipients are students who come from households with an average annual income of $18,652 while maintaining an average GPA of 3.71. Each recipient is awarded $10,000 to apply toward the tuition of their selected college or university. Later this year, the Association will award State Scholarships in Montana. 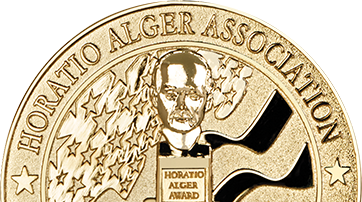 For more information about Horatio Alger Association and to see a full listing of its 2019 Scholars, please click here. Follow the organization on Facebook, Twitter and Instagram using the hashtag #HoratioAlgerScholar.